In Assignment 5 I wanted to continue the work on the figure I did for Assignment 4 looking at my son in relation to the moving figure. 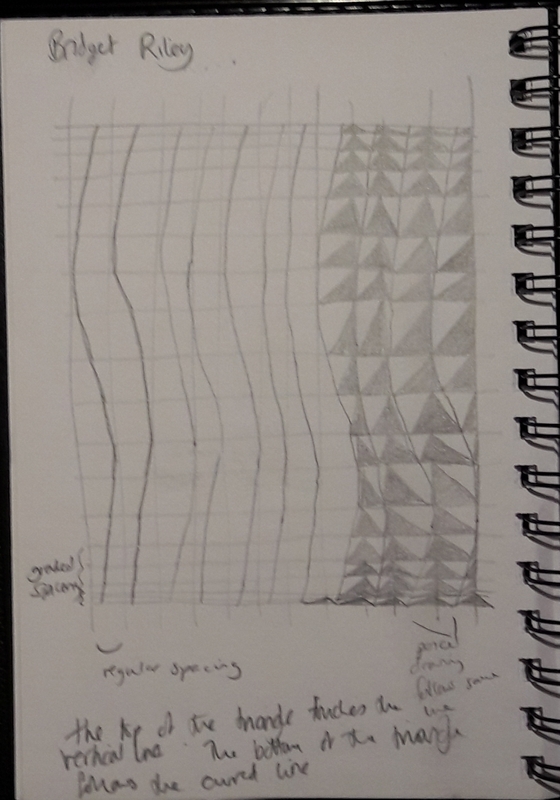 I enjoyed the challenge of looking at how to draw a moving figure although I feel I could have been more experimental in producing my final assignment piece. Demonstration of technical and visual skills. I enjoyed using various media to explore the idea of movement including pen and ink, watercolour, pencil, charcoal and pastel. As I progressed to the final piece I was drawn towards pastel as a medium in which I could explore colour and skin tone. I looked at various compositions and while the final “close” composition may have lost some of the movement of my original drawings it created an intimacy which I felt was also important. Quality of outcome. I like the bold composition and colour of the final drawing. I would have preferred more abstract feeling of movement in the image – I feel I didn’t go far enough with the final drawing and could have incorporated a more vigorous use of line. Demonstration of creativity. I did a lot of preliminary drawing exploring ways to represent movement and also as a personal response to my son. It was interesting that the subject of the drawing is one I love and I think that influenced the direction my work took. As such it encouraged the development of a personal voice. Context reflection. I looked at a number of artists including Richard Hambleton, David Haines, Elizabeth Peyton, Frank Auerbach and Jenny Saville. I found the book Painting People by Charlotte Mullins an extremely engaging overview of the figure in modern art. It addresses the use of photography in contemporary art practice in a way which reassured me about its use in my own art practice. How to draw a constantly moving child? In these drawings I aimed to explore how to draw a child who doesn’t stay still. 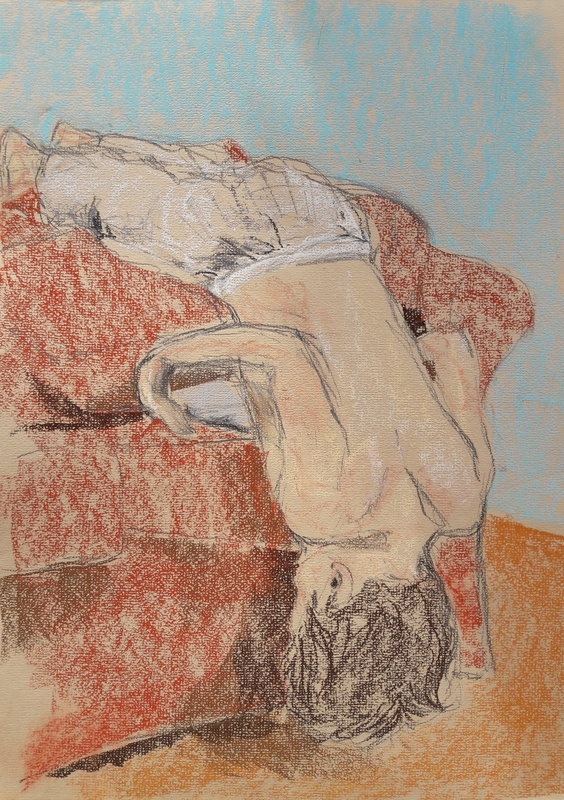 This followed on from a drawing from assignment 4 of my son lying on a sofa but clearly just about to move off (Fig. 1). I used a still photograph as a basis for this drawing and I wanted to understand how artists have worked with photographs and film stills to make work. Peter Doig is one artist I have looked at who uses photographs and film stills as a basis for his work and as I drew my son I was also drawn towards the work of Elizabeth Peyton especially her composition and cropping of the figure and her use of colour. Her work developed from drawing from still photographs of celebrities. Now she focuses on friends. While she draws people in repose, I wanted to capture movement. One of the previous areas I looked at was why don’t artists usually smile in a self-portrait? I think there is a relevance to representations of people moving. There is a suspension of disbelief when looking at a representational image. If the image is of something that is naturally still then it is easier to imagine you are looking at a real object or person. If the image is of something fleeting – a smile or a movement- then it is harder to suspend disbelief. Having said that, clearly whole swathes of art tackle moving people. Painting historical events and Greek myths was traditionally one of the highest forms of art. As a research point I also looked at the work of Richard Hambleton and David Haines who depict movement in very different ways. 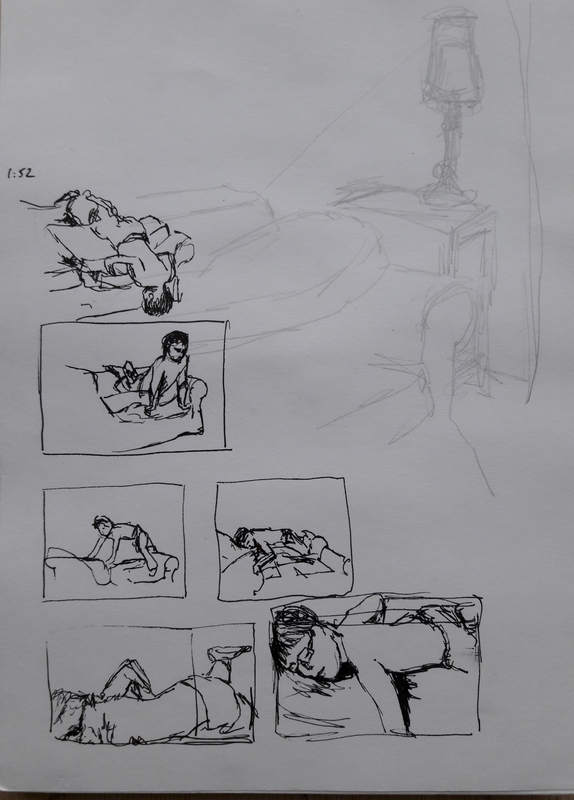 I liked the energy of these drawings but wanted to get back to the idea of the moment between stillness and movement. From a different video I chose another still. 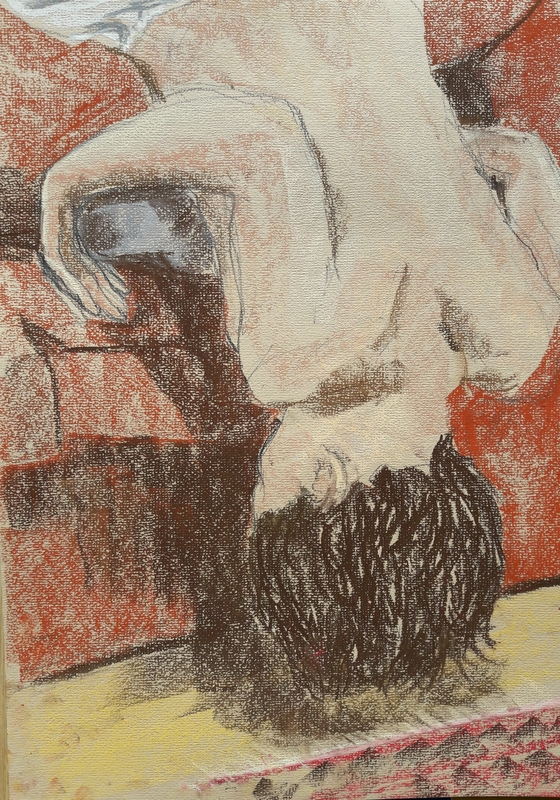 I spent a lot of time on this drawing (Fig.3) I found myself wanting to give a feeling of warmth to the drawing as well as movement so I was drawn to using pastels. While I liked this drawing I was aware I hadn’t really explored alternatives. There were also some issues because other people couldn’t recognise what the picture was of. The upside down figure and the fact that one arm is tucked behind the body seemed to cause a problem seeing the figure. I put this problem on an OCA Facebook group and got some interesting feedback. 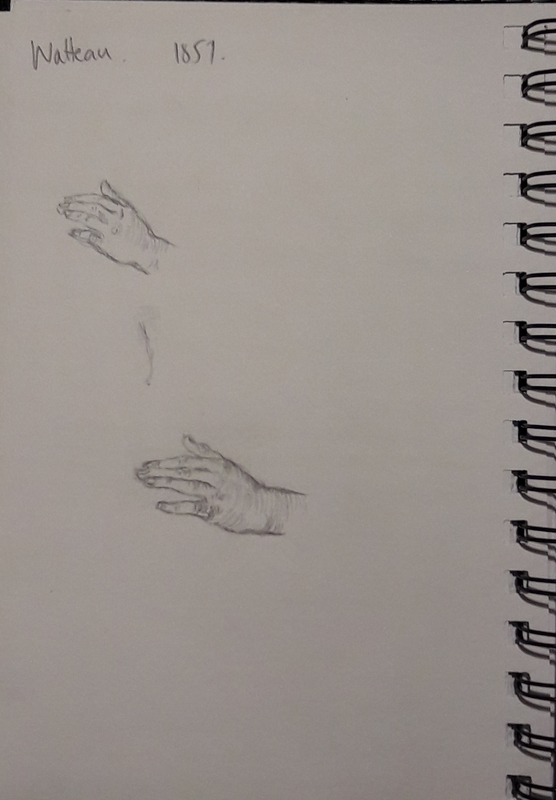 Suggestions included: look at the proportions of the feet, make the feet clearer, crop the image to focus more on the figure, choose a pose which shows both arms. 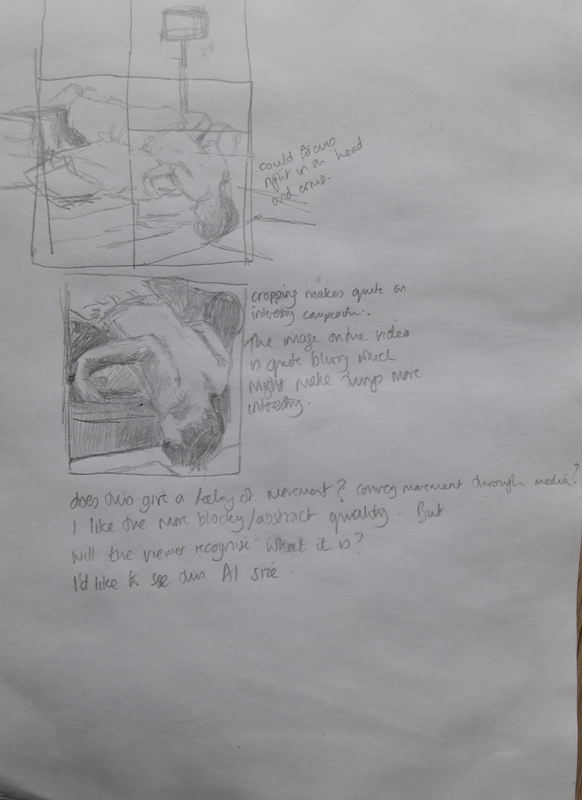 I decided I had settled on the initial pose and composition without exploring any alternatives so I went back to the sketchbook to look at other options (Fig.4). I explored a closer view showing both arms (Fig.5). As I worked through my drawings I came to realise what I enjoyed capturing was a sense of intimacy combined with a slight exclusion. I am in my son’s world but not completely. He has his own thing going on. I found my final drawing very challenging (Fig.6). The pose was difficult to draw. At A1 size there’s no hiding a misplaced line except by over painting and over drawing. 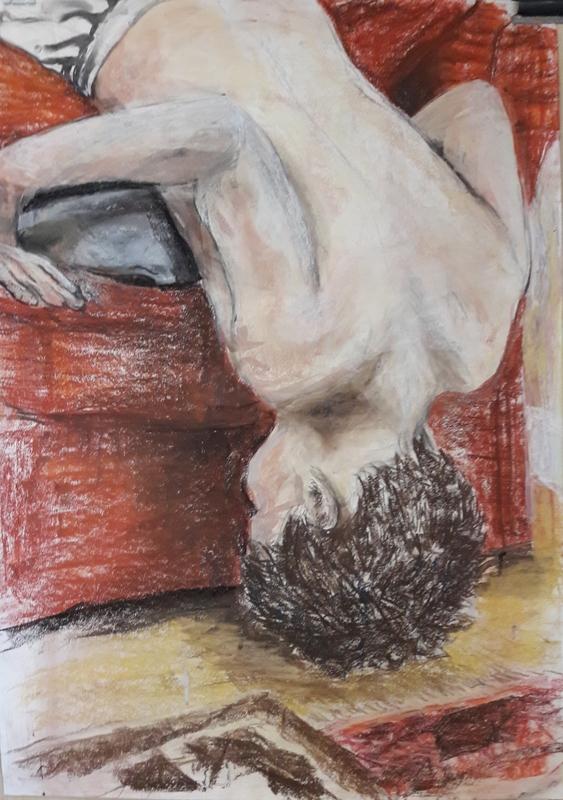 While I had explored techniques of overpainting, looking at Frank Auerbach and Jenny Saville, I feel I lost some of the energy of my previous sketches in my attempts to get the figure “right”. Having said that, I do like the composition of the drawing and the push/pull of intimacy/exclusion. I think the process of drawing has led me to an honest place about my relationship with my son.